IFKine™ Red conjugated antibodies absorb light maximally around 591 nm and fluoresce with a peak around 615 nm. They are brighter, more photostable, and more hydrophilic than other red-fluorescing conjugates. They are the best choice for immunofluorescence detection in the deep-red region of the visible spectrum. Abbkine IFKine™ is series of unique fluorence staining secondary antibodies with improved brightness, photostability and less nonspecific hybridization and background. The latest generation of IFKine fluorescent dyes ensure the best fluorescent performance, while it’s donkey host and other species of serum/IgG absorbed make IFKine™ secondary antibodies the ideal for use in fluorence staining, especially in fluorence multiple labeling. Abbkine secondary antibodies are available conjugated to enzyme, biotin or fluorophore for use in a variety of antibody-based applications including Western Blot, ImmunoHistoChemistry, ImmunoFluorescence, Flow Cytometry and ELISA. We offer high quality secondary antibodies from goat, rabbit and donkey sources for your each application. Meiying Liu, Xuan Liu, et al. Frontiers Cell Neuroscience. 2018; 12: 392. Peng Wang, Xiaobin Peng, et al. Apoptosis. 2018; 23(11-12): 651-666. Jiquan Wang, Mingchao Zhang, et al. International Journal of Clinical and Experimental Pathology. 2017; 10(4): 4900-4911. Peng Y, Guo G, Shu B, et al. Neurochem Res, 2017, 42(11): 3254-3267. Xu Z C, Shen H X, Chen C, et al. Oncol Lett, 2018, 15(2): 2245-2251. Wang, Wenbiao, et al. PLoS pathogens 13.1 (2017): e1006123. Zhao, Qing, et al. Journal of neuroinflammation 14.1 (2017): 104. Wang, Jiquan, et al. INTERNATIONAL JOURNAL OF CLINICAL AND EXPERIMENTAL PATHOLOGY 10.4 (2017): 4900-4911. Sun Ping, et al. Tianjin Medical Journal, 43.11 (2015): 1271-1274. Chen,Zhiji,et al. Chinese Journal of Ophthalmology and Otorhinolaryngology, 15.5(2015): 315-317. ZHAO, Xiao-biao, et al. Medical Journal of Chinese People's Liberation Army 39.11 (2014): 864-867. Leptin/leptinR-kisspeptin/kiss1r-GnRH pathway reacting to regulate puberty onset during negative energy balance. Luo Q, Li W, Li M, et al. Life sciences, 2016, 153: 207-212. Interleukin-33 is released in spinal cord and suppresses experimental autoimmune encephalomyelitis in mice. Chen H, Sun Y, Lai L, et al. Neuroscience, 2015, 308: 157-168. Membrane receptor-dependent Notch1/Hes1 activation by melatonin protects against myocardial ischemia–reperfusion injury: in vivo and in vitro studies. Yu L, Liang H, Lu Z, et al. Journal of pineal research, 2015, 59(4): 420-433. Exendin-4 Enhances Motor Function Recovery via Promotion of Autophagy and Inhibition of Neuronal Apoptosis After Spinal Cord Injury in Rats. Li H T, Zhao X Z, Zhang X R, et al. Molecular neurobiology, 2015: 1-10. Mitochondrial Division Inhibitor 1 Ameliorates Mitochondrial Injury, Apoptosis, and Motor Dysfunction After Acute Spinal Cord Injury in Rats. Li G, Jia Z, Cao Y, et al. Neurochemical research, 2015, 40(7): 1379-1392. 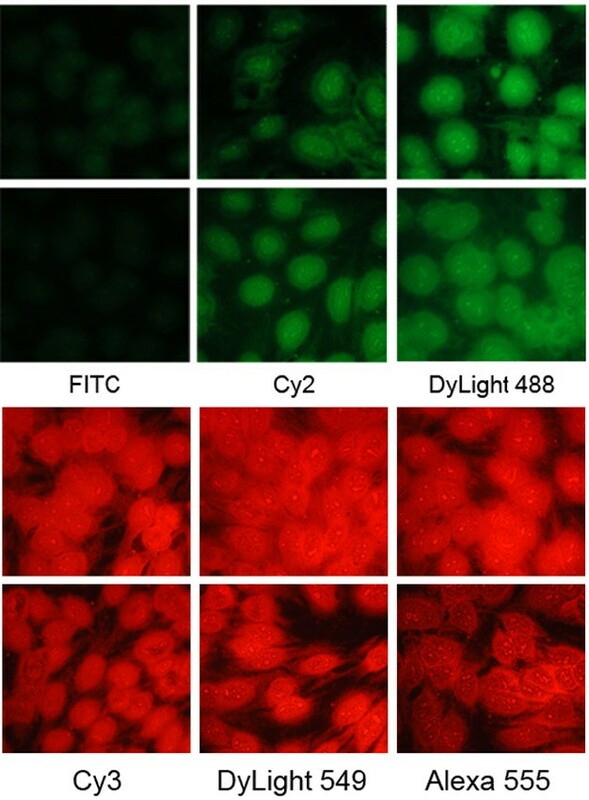 FTY720 induces autophagy-related apoptosis and necroptosis in human glioblastoma cells. Zhang L, Wang H, Ding K, et al. Toxicology letters, 2015, 236(1): 43-59. Expression of FABP4, adipsin and adiponectin in Paneth cells is modulated by gut Lactobacillus. Su X, Yan H, Huang Y, et al. Scientific reports, 2015, 5.